In Indian cricket we love a crisis more than we love anything else. In fact we love it so much that we will go to any extent to create one. We will even go so far as to block out the rest of the picture and focus only on one part of the picture, and convince ourselves of the fact that the rest of the picture doesn’t exist, and the part we are focusing on is the whole picture. When naturally in absence of the entire picture, the small part that we are focusing on, starts to make no sense, or feels incomplete, then we say the picture is wrong, and start pointing fingers. Sadly the innovation and creativity, we show to create a crisis, is then shelved when it comes to pointing fingers. Invariably all the finger-pointing starts to sound like the same old broken record. First it is always the IPL which is blamed for any trouble with Indian Cricket. It seems that the BCCI, in creating the IPL, didn’t create a cricket league, but rather created a coat hanger-on which the blame for any and all wrongs and defeats in Indian cricket can be dumped. 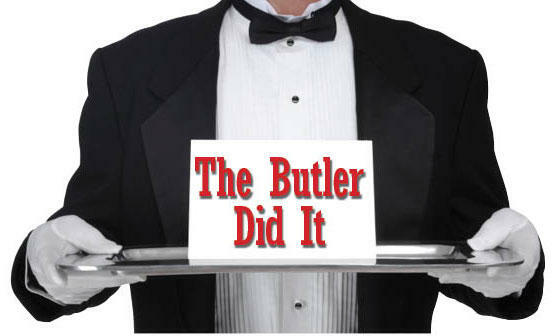 It’s really quite amusing how over the years, the IPL has become to Indian Cricket, the equivalent of what the Butler was once to whodunnits ! Any defeat, any injury and we can hear the united scream – the IPL did it! The second favorite scapegoat is the captain and the cliched – “When India wins the captain gets the credit, so when India loses the Captain the must take the blame” – justification for this, is uttered at the drop of a hat. Whether the captain ever really had any blame for what happened, is clearly secondary. If Indian batsmen cannot bat 30 overs, I would really like to know how they want to blame Dhoni for it? Even more amusingly the criticism of Dhoni tends to go around in circles. During the SA tour people had a go at Dhoni for playing Ashwin overseas, who was proving to be ineffective. People went so far as to say that Ashwin was being backed because he was Dhoni’s IPL team-mate. A decision was then taken to drop Ashwin, and come this tour to England, Dhoni got the flack for not playing Ashwin! I remember on the NZ tour the spotlight shifted to Dhoni, because of Stuart Binny not finding a place in the starting XI. After the Lord’s win, and in the final test, Dhoni got questioned because Binny was playing! If the critics and TV Pundits want to have a go at the captain, they must first at least make up their own minds! The pressure that is being put on Dhoni to resign, is a perfect example of India looking at only part of the picture to create a crisis, and ignoring the overall picture. Since yesterday every pundit, newspaper and news channel has been highlighting how with 14 defeats outside the subcontinent, Dhoni is India’s worst overseas Captain. That the stress is on ‘defeat’, ‘worst overseas’ shows that it is not the full picture. Where there are ‘defeats’ there are ‘wins’ too, to consider. So lets look at the whole picture. If Dhoni is the worst captain overseas on the ground that he has most ‘defeats’, where does he rank on the number of wins. The answer may surprise people. Ganguly has a total of 11 ‘away’ wins, but not all ‘away’ wins are outside the subcontinent, for instance Ganguly has a lot of those wins in Bangladesh, which is not ‘overseas’. Wins ‘overseas’ means wins outside India, Sri Lanka, Pakistan and Bangladesh. On this yardstick, the captain with most wins is still Ganguly with 6 wins overseas (3 against Zimbabwe), and second is Dhoni with 5 (None against Zimbabwe, because he has never an India Test Tour to Zimbabwe). This clearly shows how looking at only part of the picture can create a crises. If on the basis of defeats Dhoni is the worst overseas captain, then on the basis of wins, he is the second best overseas captain India has ever had! If you take away Ganguly’s 3 wins to Zimbabwe, which lets face it, is not really worth much, Dhoni is effectively the most successful overseas captain India has ever had! If you include wins in Bangladesh (Ganguly has three wins there), Sri Lanka and Pakistan, and look at total ‘away’ wins (not just overseas), then Ganguly is still most successful captain with 11 wins, but Dhoni is still second with 6 wins. So looking at wins away from India, Dhoni is the second best captain India ever had. Mind you, Dhoni has never led an India team on away tours to Bangladesh or Zimbabwe, were 54.54% (6 of 11) of Ganguly’s away wins have come. So the question that the fans need to ask themselves is how much of the picture they want to look at before jumping to point blame. READ: Australia in India 2019: Australia wins the ODI series!! Sure the media is presenting a highly selective stat, ignoring the other aspects of the game, to make Dhoni look poor. Most ‘defeats’ (what of ‘wins’) overseas, as explained above, is only a very small portion of the picture, and creates a crisis when none exists. It’s clear that on the basis of wins Dhoni’s numbers still match up to the best. This is also not the whole picture, there are tests played at home too and they also count. While one would like India to win away, and overseas, but, to get that good a team going, the foundation has to be home wins. There have been some dominant test sides, that have both home and away, but the foundation has always been home performances and wins. There has never been a team that has consistently lost at home, but still won with any kind of consistency away. A team is not truly a champion side, unless it wins both home and away. Thus a team that loses at home, and wins only away, cannot be truly called a champion side. Both home and away wins count. Home wins are thus, as invaluable as away wins. This is a point that is mostly overlooked, by Indian fans who have taken home wins for granted and don’t respect them, it seems. Because India have been consistently good at home, and have had relatively fewer away successes, the away win has become the holy grail of Indian cricket, and in this search the home win has come to mean less and less over the years. A win at home is considered inferior to a win away, and the Indian fans don’t realise that consistently winning at home is one half of the makings of a world dominating side ! Sadly the pundits have stressed on away wins so much that an Indian fan has lost touch with the importance of a home win. A captain must only be judged on overseas records! Why? What of the home wins that is the other half of the coin for any world dominating side? Having harped on the need to look at the whole picture, it would be wrong of me, if I do not go look at Dhoni’s overall test record both home and away, and not just defeats, but wins. If we only look at defeats (as is being done for Dhoni overseas), then ‘Tiger’ Pataudi with 19 defeats is the worst Indian Captain ever ! How fair do you think that is? Lets not fall into that trap, lets look at both home and away and what % of the matches captained led to wins. This % way of looking at wins, will then automatically also show what % of tests were not wins, thus presenting a much more complete picture. Is this not an interesting picture? A complete picture. Far from being the worst, Dhoni is actually has won the largest % of his matches as captain, of all Indian skippers. Not only has Dhoni won more tests than any previous skipper before him (including many of those asking for his head), he has also won more tests per test than any skipper before him. So what then is the point of selectively harping on a partial stat, and gloriously ignoring the larger picture. 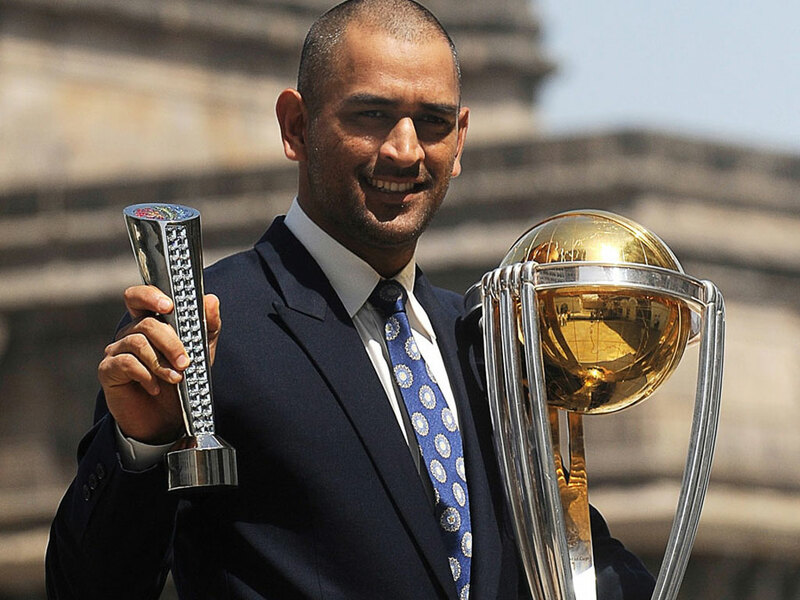 Far from being the worst overseas, Dhoni is the best overall skipper India have ever had. Those figures also tell you of times when India were clearly not winning much anywhere, let alone winning away. Suddenly those home wins don’t seem as insignificant now do they? A consistent home run is the foundation of any great side. Before Dhoni the strongest this foundation ever was, was under Ganguly who had 10 wins in 21 home tests – 47.61%, while under Dhoni this figure stands at 21 wins in 30 tests – 70% wins in tests at home. Thus under Dhoni this foundation is stronger than it has ever been before. All that remains is to now build on this foundation and push on. Admittedly this has not happened, but it is also important to look at why it as not happened, which I will get to in a minute. Since we are so keen to create a crisis, lets us look at where exactly Indian cricket presently stands. 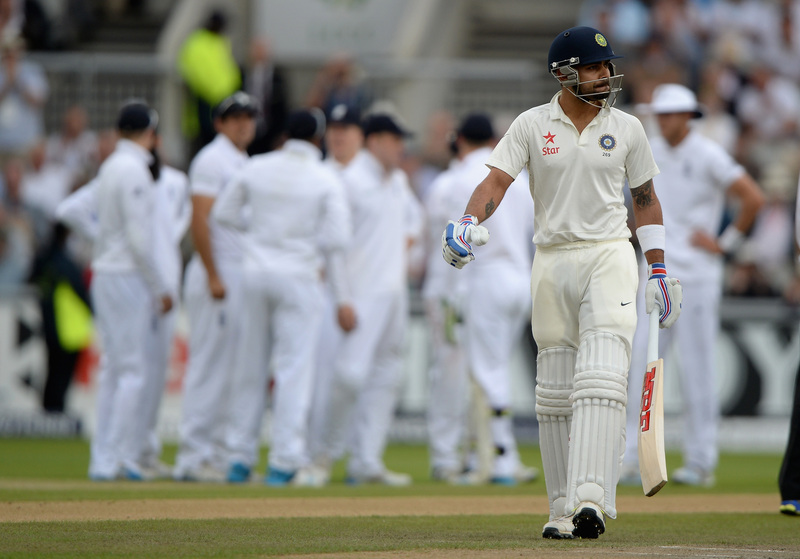 What is it that Indian cricket should be doing in terms of winning that it is not doing now. Yes it is not winning away test matches, but short of that where else is Indian cricket struggling? India won the World Cup, won the Champions Trophy, India is clearly winning tests at home, and winning more tests at home than they have ever done. Sure there was a hiccup when India lost to England, but since then India have put together a run of 6 straight wins, which is the second longest winning home streak in the history of Indian cricket ! So apart from not winning away tests what else is Indian cricket not doing under Dhoni, and the answer is that it is clearly doing everything else it should be doing. So for this one aberration under Dhoni, lack of away wins, which incidentally has been an aberration under all previous captains, is it really fair to question a skipper who has otherwise delivered more than anyone else before him. He has won every major trophy this game has to offer. His side has been ranked the no. 1 Test Side, he has won the World Cup, he has won the Champions Trophy, he has won the Asia Cup, he has won World T20, he has won the IPL, he has won the T20 Champions League !! A skipper cannot have a more complete career than this. So do we really want to dump this skipper because there is one box (away wins) that he doesn’t tick. I feel the senselessness of sacking Dhoni clearly comes out here. Now lets come back to what is the cause for this torrid run of results overseas. Just what is going wrong here. Well first we need to stop looking at the poor overseas run starting in England 2011 and continuing till this present series as one run. The fact is they need to be broken into parts, both of which have different failings. The 2011 side featured the old guard, which was on its way out and thus the performances suffered greatly and this was also the case in Australia later that year. This is the first part of the poor run. The same old guard, got back to India, and in the home series against Aus and WI totally bowed out, with Sachin the last to go. This is also where the new generation came in, which featured the likes of Virat Kohli, Pujara, Rahane, Vijay, Dhawan, basically the entire batting order that we have today. This new generation did fine in the home series, but then started phase two of India’s wretched overseas run with the tour to SA. Thus, Ind started phase two where the failings came because of lack of experience and not because the old guard were too old to play the moving ball. These are two distinct phases where the failings came for different reasons. In the first phase the old guard which had done well earlier could no longer play the moving ball, where as in the second phase, a totally new generation got its firs real experience of the moving ball and the overseas pitches. Thus it is important to not see the run from 2011 to this England tour as one run, because the run is clearly divisible in two parts, where the reasons for the failures are different. It is unfair to dump the 8-0 performance of the previous generation on this present generation. Phase 2 has been so much better than phase 1 of the run. Phase one reads 0-8-0, phase two from the SA tour onwards reads 1-5-3. The previous generation’s wretched final away run is also being dumped on this generation and this is creating a false picture. This new generation which is starting out on its journey on its very first run outside the subcontinent, has done much better than the old guard when it was on its way out. Is that not something to take heart from, instead of panicking over. I know in many ways this last series feels worse than the 4-0 defeat in 2011, but once we take the emotion out, we will all see that 3-1 is better than 4-0. That invaluable overseas win, which took the Ganguly generation (to whom this generation is being compared) so long to achieve has arrived much sooner for this generation, and what a win it was, on its first run of overseas tests itself ! I remember when the Ganguly generation took its first independent steps on the ’98-99 tours to NZ and then Aus whitewash, there was no contest and those two tours were among the worst tours ever for an India side. Of the combined 5 tests it was 4 defeats and a draw. Shortly afterwards came the SA tour which also proved to be a no contest. Forget winning a match India, never even got close. It was the rain that saved India from a 3-0 whitewash in SA to keep the score at 2-0, while on the NZ tour later, another whitewash followed. In those days Eng were in deep cricketing slumber, thus these were the toughest tours, and thus on the first real test of away tours the Ganguly generation had, the score was in 0-7-2 !! So while that generation later went on a good run, we must remember what their start was like and it was 0-7-2 (seven defeats and two draws). This generation in its first run, is at 1-5-3 !! Is there any question as to which of the two generation had the more promising start ! Not only are previous generation’s final 0-8 run also being dumped on this generation, but this generation taking its first steps to exposure to overseas tour is being compared with the previous generation at its peak ! When you compare the baby steps of both the generations (a fairer comparison), there is no question as to which generation had the better start ! We are clearly being unnecessarily harsh on this generation. Let them get the first run out-of-the-way, the second run will be much better, as they will learn from this. Another reason for India’s fall away is that it was a 5 match tour, and no Indian generation in recent years has had a 5 match series and thus naturally by the time the 5th test came around, this new generation was too mentally and physically exhausted to compete, and were just going through the motions. England is a tough tour, especially the constant gloomy overcast weather there takes some getting used to, and on top this a young generation of cricketers were mentally and physically exhausted due to this being an extraordinarily long series, against a side which play 5 test series, regularly – the Ashes. This aspect is being totally ignored, and even with this rather significant shortcoming this generation not only notched up its first overseas win, much sooner than the previous generation it has also, gotten overall better numbers at the start. Lets also remember, that the Ganguly generation couldn’t even compete in SA or NZ, while on their first run this generation apart from the actual win at Lord’s also nearly pulled of wins in SA (First Test) and NZ (Second Test), eventually settling for draws. Given the long standing shortcomings India have on overseas tours, this generation’s start has been very encouraging. The fans are so demanding that this encouraging start is not enough, there must be instant results. The old generation went out on a torrid run, but the fans expect instant results overseas from this new generation ! That it has not come has led to suddenly some fine Batsmen of this generation Kohli and Pujara who have delivered in SA and NZ, to be questioned, and the Captain who has done it all, except win overseas being questioned too. That one needle in a big haystack of success, lack of overseas test wins, is all that matters suddenly. This instant success culture needs to go. This generation has a tough Australia tour ahead, which must be seen as another learning curve. Once that series is done though, then this new generation will have a run of home series against the best of the lot. SA, NZ, Eng and Aus, are all scheduled to tour India and this run will be the one that finishes off the learning curve. Before they can be expected to deliver away, they must prove themselves by winning the home series, then they can be said to be ready for an overseas run. The upcoming WI home series, will be the first indicator of how this long home run is likely to go, and if the early indications are anything to go by, it’s going to be a great run to look forward to. Even so a few additional steps would definitely help. For instance, this generation’s players could be asked to play county cricket, like a lot of the previous generation’s players had done. A problem to this, is that because of competing league’s issue the ECB is not too keen on Indian players playing in England now. This is the same reason why it also doesn’t allow its players to play in the IPL or indeed any of the T20 leagues. BCCI is also for similar reasons not keen on Indian players playing in a league where they are no longer welcome. A middle ground could be found, and it could be that while Indian players could play the longer version of the matches, they would not play any T20 leagues. An alternative is of course to play Australia domestic cricket. Another option could be to send an Indian ‘A’ side to the nation a tour is coming up, which should consist of players who are likely to play in the actual tour. For example before the tour to SA last year, the BCCI had sent an ‘A’ side tour, which also involved Pujara to SA months before the actual tour to get accustomed to the conditions. The results were there for all to see and Pujara scored a superb 153. The larger point is that always look at the complete picture. Selectively reading stats, creates a needless crisis. 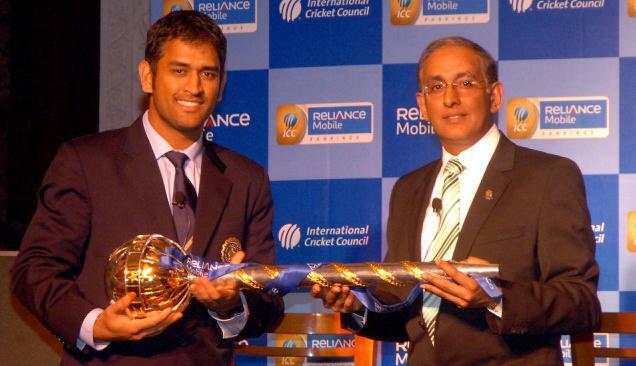 This generations start has been great, and Dhoni is laying a great foundation for the future of Indian cricket, !